Alpine sunflowers were abundant at the top of the. Upper Piney Lake Trail. 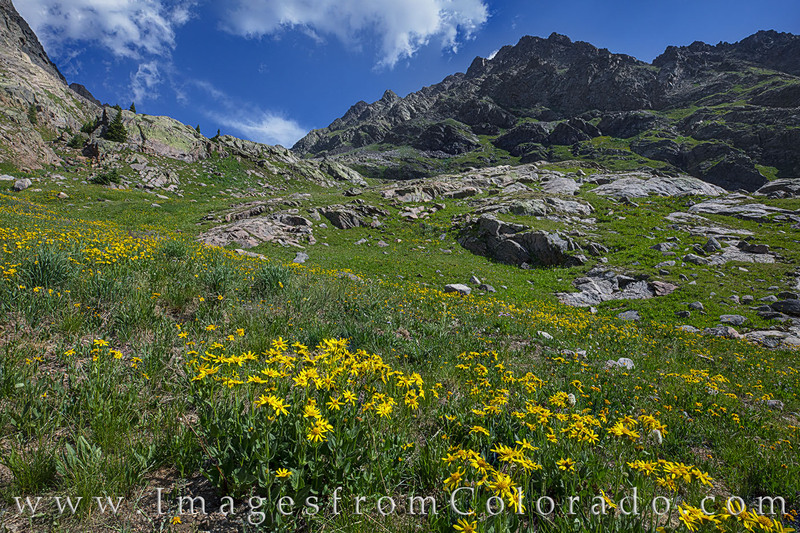 While a small cascade was about 3 miles up the trail, these wildflowers required another 2 miles and a lot of vertical climbing to witness. The gruntwork was worth it, as the slopes were filled with these golden sunflowers and purple asters. Photo © copyright by Rob Greebon.